Alida is a stunning triple disc bracelet features three textured mixed metal discs on a fine sliding box chain bracelet. 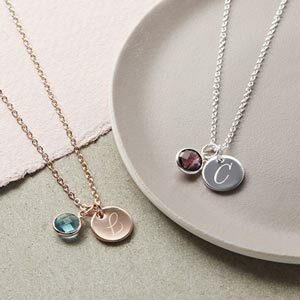 To make this an extra special gift, why not add a swarovski birthstone charm from the drop down menu. 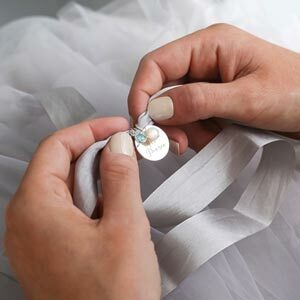 The Bloom Jewellery box features a luxury silk ribbon to tie into a bow on the front. Length of bracelet is fully adjustable.